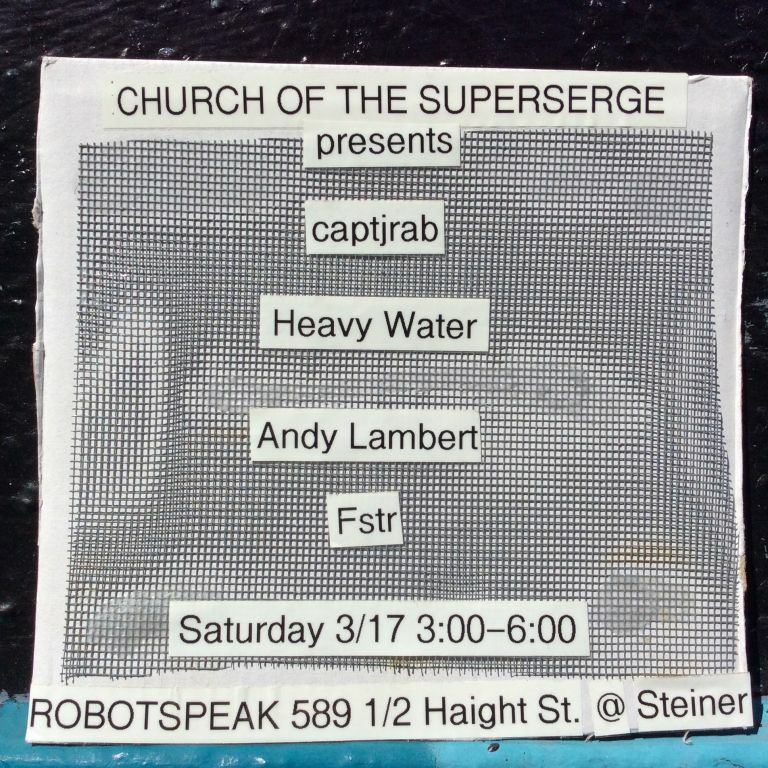 My experimental noise/ambient/American Krautrock band Control Group is playing at the Church of the Superserge monthly congregation. Also performing, Chicken Neck Palace. I can't make it this weekend, but "3rd Thursdays" at Robotspeak are an awesome thing. Cool place, cool crowd. Do you have any other gigs in the Bay Area anytime soon? Near to Serges old apartment on Haight! Playing the montly Curch of the SuperSerge this Sat 3/17. Come on down SF PEOPLE and meet your fellow synth enthusiasts. The gig was interesting. I put together a band, Control Group, with a bassist, thereminist and violinist who was going thru moogerfoogers plus myself on modular. Overall it made me think this is what it must have sounded like in the time of the dinosaurs with volcanos and earthquakes going on. A bit much actually, but fun.